Today is my parent's 25th Wedding Anniversary - I can't believe they have been married for 25 years ... it also means I'm coming 25 this year - argh! I've spent the last few weeks fretting over what to get them because it's obviously a very special milestone. Our family have always followed the 'traditional anniversary gifts' - you know where you buy the couple - something made of paper for their 1st anniversary, wood for their 5th and so on ... you can check it out HERE on Wikipedia - it goes all the way from 1 to 90. So as mentioned my parents are at 25 years so that means 'silver' - I went to one of my favourite websites 'Not on the High Street' and chose some amazing gifts. I will be honest - I didn't get anything from this website this time - I actually chose something from John Lewis - which I'll show you at the end. My parent's really like their gardening - I think my whole family did as my grandparents always had vegetable patches and flowers growing in their gardens! This is a great little present - you get an apple crate with personalised writing on the side such as name and anniversary date. Again, another gardening present - I bought something similar for my mum's birthday last year but I think it was a fig tree - unfortunately her bird ate the figs (I think) This one is much more romantic and is a rose bush. I love personalisation - I think it gives it more a personal feel and you know that thought has went into the present. This present allows you to add names, dates, words and phrases then it messes them together and the finished product looks something like above. Again, similar to the above present - you add 'memories' and then choose frames, colours etc and you get a collage of memories from the past. Who doesn't like chocolate hamper? Well if you're watching your weight then yeah maybe you won't like it - but surely you can treat yourself on your anniversary! Always a good option. I do think Not on the High Street is a good place to shop - if you want to check them out - you can click HERE. 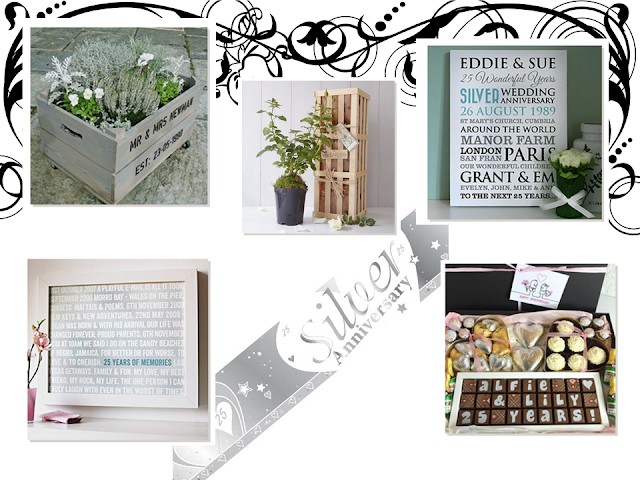 If you want to look at more 'Silver Wedding Anniversary' gifts - then you can check their full range out HERE. 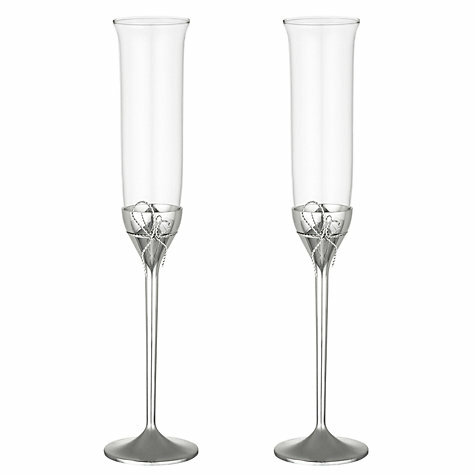 Let me know what you think in the comments - do you buy your parents/family members presents at anniversary milestones?